The Southern Marches of The Lake District is the area enclosed by the Duddon Esturay to the West, the River Duddon to Seathwaite (Duddon Valley), the Walna Scar Road to Coniston and the A593 to Ambleside to the North West, Lake Windermere & the A590 to Morecambe Bay to the East, and then the Irish Sea to the South. If you include just the Wainwrights and the Marilyns there are 4 tops to climb, bag & conquer and the highest point is Top o' Selside. 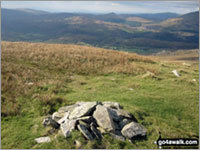 A go4awalk.com Peak Bagging Map and Hill Tick List featuring Top o' Selside will be available soon. Kirkby Moor (Lowick High Common)? Kirkby Moor (Lowick High Common) actually lies just outside the Lake District National Park southern boundary but it is classified as being within the park for Peak Bagging purposes to stop it getting missed. 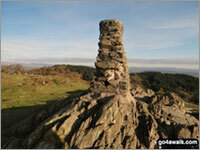 A go4awalk.com Peak Bagging Map and Hill Tick List featuring Kirkby Moor (Lowick High Common) will be available soon. 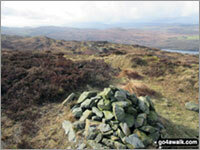 A go4awalk.com Peak Bagging Map and Hill Tick List featuring Gummer's How will be available soon. 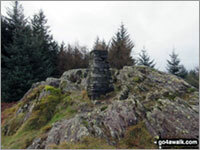 A go4awalk.com Peak Bagging Map and Hill Tick List featuring Claife Heights (High Blind How) will be available soon.